The Hailsham Forward CIC Executive Team produced the original Plan for Hailsham following extensive public consultation in 2013. This plan was fully endorsed by the local councils and business organisations. The Plan has been reviewed by the Hailsham Forward CIC Stakeholder Group on an annual basis and updated where necessary detailing the ambitions for Hailsham. 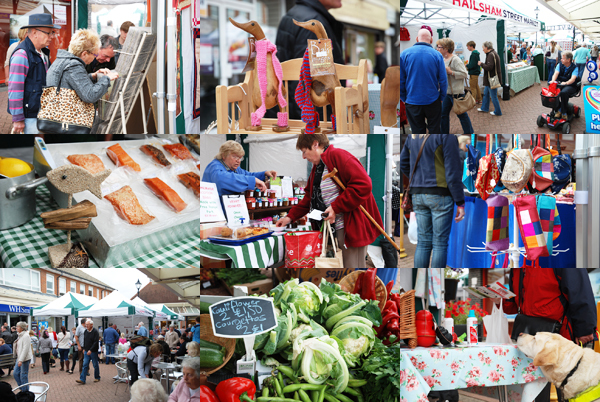 Promotion of Hailsham’s markets including the Farmers’ Market. Provision of low cost starter units. There are many different strands to the work schedule proposed above, and all will take a differing amount of time, effort and run to varied timescales. 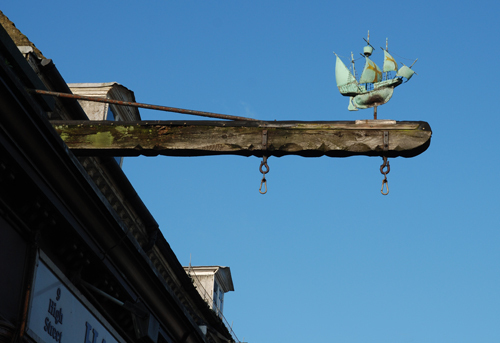 The delivery of the plan will provide a range of benefits to Hailsham including the increase in the number of visitors to the town and surrounding area. Hailsham Forward CIC has already built a reputation for being able to deliver in very short timescales projects that people showed interest in and the important thing for Hailsham Forward CIC now is to focus on the projects that it can have a direct influence over or involvement in. In a similar fashion to the Hailsham Card project, the format for delivery on these key issues would be to establish smaller working parties operating within a framework set out by the executive team and reporting back to the wider stakeholder base at regular intervals. The Saturday market established by Hailsham Forward is now under the management of Hailsham Town Council. The change to management will allow Hailsham Forward CIC to concentrate on other projects for the town and surrounding area. Hailsham Forward CIC will continue to work with Hailsham Town Council to recruit and retain traders as well as marketing the market locally. If you are looking to join the market, new traders can “try before they buy” and get their first two markets free of charge. Please contact Christian Letschka at enquiries@hailsham-tc.gov.uk or Tel: 01323 841702. Development of a smartphone-optimised complete town and shopping directory for Hailsham with details of shops, eateries, attractions and more. There are stickers in shop windows and signs in town centre car parks displaying a green QR code which can be scanned with a smartphone and which then opens the town & shopping guide website. The aim is to enable visitors to see at a glance the wide range of shops available and to allow visitors alike to have quick on-the-go access to all shop opening times and other useful information. If you are a local business and would like to be featured please email us. Work to keep the guide up-to-date continues to ensure that the guide is a reliable source of information for the town. The contents of the Guide will also be reviewed to see what other local information can be included for the benefit of residents, businesses and visitors to the town. To build a networking forum for all the local based community groups and as a collective group benefit from sharing experiences, ideas with other local groups and to overcome similar issues groups maybe struggling with. The long term benefits could be cost savings to each group, for instance a large forum of people would have more leverage with ordering leaflets, printing cost, sharing resources and more. The Forum continues to meet regularly, with the management and organisation carried out by two local volunteers, Jenny Seale and Julie Coates. A New-year’s resolution event was organised by Jenny and Julie in January, which was very well attended by both the local community groups and the local residents, a number of the groups were able to recruit new members during the event. A number of the Forum members organised a fun day on 22nd July following the success of the fun day in 2017. If you are a local community group and wish to join the forum please contact Hailsham Forward CIC. To establish a loyalty scheme for Hailsham and surrounding area. This will provide benefits to both local residents; by way of discounts or free goods/services and local businesses by increasing local shopping and purchase of services; with the offer of discounts etc. The number of local businesses subcribing to the Hailsham Card has increased over the past year, givinh access to increased offers. 12 months of unlimited access to the discounts that have been negotiated with independent businesses in Hailsham as well as Hastings, St Leonards, Bexhill, Eastbourne, Battle & Rye at a cost of £10 for a twelve month period. A free Apple App & Google Play App to locate the businesses and view the discounts. A high quality membership card that can be used in any town featured on the App & website. Monthly email for additional offers that are added monthly. Please visit www.towncitycards.com/hailsham-forward/ for more information. A micro site on the website and App with gps maps, offer, profile, business logo, contact, opening times and telephone integration. Bespoke videos that are optimised to rank on Google. Direct email marketing to the membership. There is no charge to the businesses for the above; however, their discount should result in a generous discount/offer for the member. This offer needs to be exclusive to the Hailsham Card. Please visit www.towncitycards.com/hailsham-forward/ if you wish to sign up as a business. 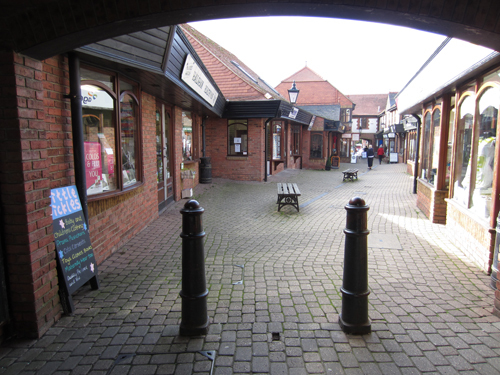 The on-going growth of internet and out of town shopping and the town centre road works, completed earlier in 2017, have hit Hailsham town centre hard. The Celebrate Hailsham Day in June of 2017 was aimed at getting visitors back into the town centre. Attracting visitors back to the town centre will need to continue to help revitalise the town centre. Hailsham Forward CIC working in partnership with Hailsham Town Council organised a second Celebrate Hailsham Day in June 2018, and is in the process of organising two Christmas evets together with supporting other local events with a focus to bring people back into Hailsham town centre.